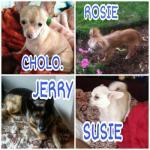 This page is about your dog stories and dog training questions. Here is a chance to share your dog's tale, problems and doubts with other canine lovers. Find inspiring narratives and answers to behavioral problems and get inspired to train your pet too! If you have a behavioral or training question that you would like me to answer, please write down a very detailed explanation of the problem: where does the situation happen? Which animals and/or people are involved? What have you done about it? Age, breed and anything else you think might be relevant. I will need at least 150 descriptive words! Pictures of your pet showing what he is doing at the time are also extremely useful! I will try to answer your question and find a solution always using positive methods. 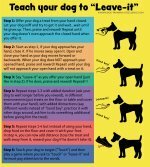 What is YOUR Dog's Story or Training Question? Whether it's funny or sad, entertaining or encouraging, heroic or just cute...We want to hear the story of your furry best friend! How did you meet your canine friend? What was the most embarrassing, scary and wonderful moment you two had? Why did you decide to train your pet? What methods did you use? How did your relationship change? Do you have a training or behavioral question? This is the place to ask! Be very specific and detailed. Your anecdotes, adventures and questions can inspire dog lovers around the world! You need to upload a photo of your pet too. Submissions with pictures uploaded are more likely to be published. If you are asking a question, I will need all the details you can give me. Write at least 150 words! For your story or question to be published, please upload a picture of your canine friend. Click the button and browse on your computer for a good picture. Select it and click on the button to choose it. Click on the links below to discover great dog stories and training questions (with answers). They were all written by other visitors to this page. "Go, save yourself, let me be your hero." When a simple mud roll did the trick! Thank you for sharing your story with us! 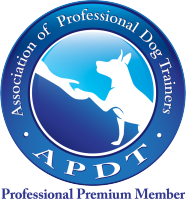 Dog Training Excellence was created to help all dog parents train their pets. By sharing your dog story with us you are also helping other pet owners be inspired to train their hounds and solve any issues before deciding to leave their pooches at a shelter! Training your pet might seem like a challenge, but it can be done. The most amazing moments in a dog owner's life is when he/she suddenly "gets-it". When the owner understands how to behave so his/her dog understands what is being asked. It also happens when the owners learns how to make the dog do what he wants him to do! 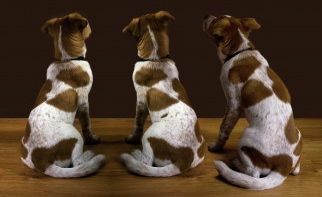 It is all about communication and a little bit of dog psychology too. If you have experienced that "Aha" moment tell us about it! If you haven't, let us know and we will help you get there too! All stories are worth telling, here is your chance to share yours with the world. Fill out the form above and don't forget to add some cute pictures of your furry best friend.